The United States knows that the leader of Pakistan’s Taliban is dead because he has not appeared in public to prove that he is alive, the top U.S. envoy to the region told CNN on Monday. Richard Holbrooke said that the Pakistani Taliban have not confirmed the death of Baitullah Mehsud because of an ongoing power struggle over his successor. “The reason it’s clear he’s dead is that if he weren’t dead, he’d be giving TV and radio interviews to prove he’s not dead,” Holbrooke told CNN’s Cal Perry. Mehsud rarely gave news conferences or appeared before the media. There has been conflicting information from the Pakistani Taliban about whether Mehsud died in a suspected U.S. missile strike earlier this month. Watch Holbrooke say Mehsud is dead » Last week, Pakistani Taliban spokesman Maulvi Umar told CNN that Mehsud is alive, but ill, and will speak to reporters when he feels better. Other media reports have quoted another spokesman for the group as saying Mehsud is dead and a mourning period is underway. 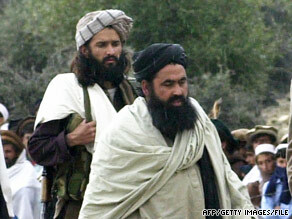 U.S. and Pakistani government officials have said they are confident that Mehsud was killed in the August 5 strike. DNA tests were reportedly being conducted to back up those claims, but U.S. officials have expressed doubt that enough genetic material would be left behind, considering the enormity of the strike. Holbrooke said Mehsud’s death has sparked “a succession crisis” among the Pakistani Taliban. “The chaos benefits us but it doesn’t mean that this thing is over,” the top envoy said.